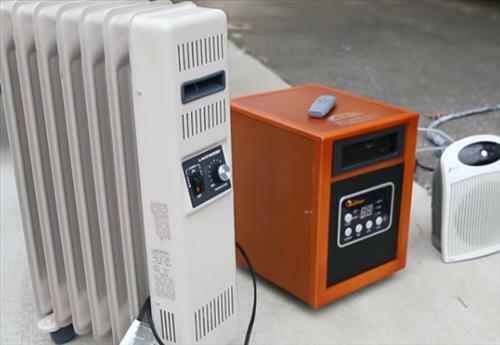 Space heaters can be great little units for heating up a room or maintaining warmth in a space, but can be annoying if loud. Most electric space heaters have a fan to dissipate heat into a room and make some noise. There are however units that make little to no noise and can be silent while heating a home. Here is our picks for the best quietest space heaters. As always be sure to read the reviews on Amazon or elsewhere to be sure a unit is a good fit for you. The Dr Infrared Heater is a very popular unit that has a nice style to it. It has a low noise blower system that keeps the noise level below 39 dB which is very quiet and barley noticeable. There is a built-in thermostat, digital display, and comes with a remote control. 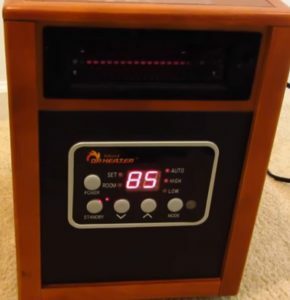 The Dr Infrared Heater is a well built unit that doesn’t disappoint and is a quite unit to use. Oil-filled electric heaters make almost no noise since there is no fan. They work by heating up the self contained oil in the unit and radiating out heat. They work very well at maintaining a rooms temperature and are more efficient to use than most other types of electric heaters. A oil filled units is slow to heat up but maintains the warmth level much longer than the common ceramic based models. Often they are used with a standard units that have a fan and thermostat to quickly heat a space, while a oil filled unit keeps the temperature steady for longer. The DeLonghi EW7707CM is one such system that work very well and works silently while warming a space. Flat panel heaters are also a good option for a quiet heat source. They don’t put out a lot of heat but are more temperature maintainers. When used with a standard unit, the standard unit will run less often keeping the noise level down. A oil-filed unit would be a better option for more heat output, but flat panel systems are good when space is limited and don’t take up any area since they mount on a wall. Flat panel heater are good to have and often more than one is used to keep the temperature stead while running silently. Having a quite space heater is ideal when watching TV, sleeping, or just going about your daily actives. Loud units can be very distracting and make it hard to fall asleep sometimes. Thankfully there are options for a quite unit that will heat a space and do it while being silent. Since every situation is different there is no one system that will work for everyone. Using a oil based unit is a good option since they are quite and maintain heat well. Flat panel don’t give out as much heat but are good at being out of the way and when combined with other heating sources can improve a home greatly. 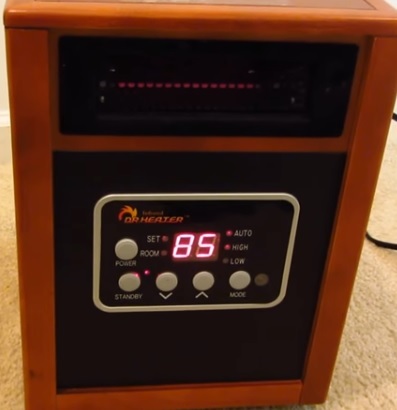 The Dr Infrared Heater is a very good unit that works quietly while warming a space. Have you found a system that works quietly let us know about it in the comments below.